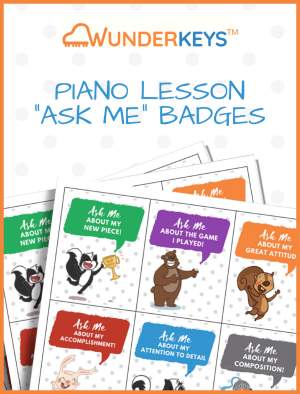 Click below to download the Piano Lesson “Ask Me” Badges. Cut out the cards. Using double-sided tape, stick one badge to your student’s shirt as he leaves his lesson. This encourages post-lesson conversations between student and parent and is a great way to share what is happening in your studio!